"She is there for you every step of the way. Any questions we had, Janet always made sure we had everything answered. We're so glad she was referred to us! She is a very professional and detail oriented person to work with. She communicates very well & goes above and beyond to help her clients and get the job done." "We already recommended her! Go for it!" "Janet became my friend when she helped us by our first property in 2013. My husband died in 2016, and she's been there through all my grieving and holding my hand to move on -- she will always be my friend for life! I love her!" 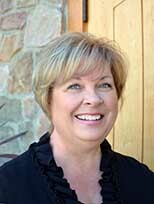 "Janet did a very good job of teaching me about resale values based on the age, location and features of a home. She also did a lot of work to close a short sale transaction." "We are going through withdrawal pains having not heard from you for about a week….. Seriously, we can’t thank you enough for the professionalism shown to us to get us out of our home in Yakima and settled in our new community. For all the extras – above and beyond the call of duty, please accept our thanks." "We want you to know how much we appreciate all your hard work and time. You did a great job. More importantly you are a friend now… We are doing great, enjoying the house. Thanks again for everything." "Thank you for “going the extra mile” and staying with us until we found a place. Thank you for answering questions and for answering your phone : )"
"Janet Apken was very fast in closing on our home, very knowledgeable about the area and we could tell she had our best interest in mind. She got things done really fast and returned calls quickly. Great Realtor." "My husband and I recently finished working with Janet Apken in purchasing our new home and wanted to say how much we appreciated her assistance, thoroughness, and dedication to us. She was very helpful and went beyond the scope of her responsibility, in our opinion, to make sure our new home was in the best condition possible and made sure things were fixed to our satisfaction. She was attentive and obviously dedicated to providing us with the best service possible. Thank you so much, Janet!!" "Janet did a great job. She stuck with us when it took us a long time to get a house and get moved to Yakima -- Thanks for all your help." "Janet went above and beyond in our difficult transaction. She is very trustworthy and really went the extra mile multiple times, helping us in many ways that I don't feel are expected of a real estate agent. She always kept us in the loop even though we live 200 miles away and can be hard to get a hold of. She saw everything to the end and beyond with excellent customer service!!!" "Janet is competent but, even more, goes extra miles. She rearranged her own commitments to accommodate changes. She offered suggestions. She made us feel we were all part of a successful effort. She was the best! This was an estate sale. It went quickly & smoothly." "Janet did a wonderful job selling our home. She helped us with every step from staging our house, to making sure the final papers were correct. She exceeded our expectations in every way!!" "Janet Apken went far and beyond helping me and keeping in touch with the progress -- more than I can express, her friendly attitude will always be a help in her work." "Having bought and sold several properties since 1971 in three states (currently own 13), my wife and I believe we know how a really good REALTOR performs. Janet Apken's performance for us was well beyond "really good" - it was outstanding! We "shopped" for our property on-line from our home in Illinois and despite the asking price being low, Janet's on-line presentation of the property was what we'd expect of a property with at least a 250% higher asking price. Her e-mails and phone follow-ups were equally impressive. So, we'd only recommend your company if we were sure Janet Apken or someone near her caliber was taking care of our friend or family member." "She kept on top of things & kept the process running smoothly. She's great!!" "Once again thank you for all your assistance with this painful process. I know you say you are just doing your job, but some people stand out at their profession. And you are a shining star. Thank you." "Thank you for all that you have done to keep us on track and the must do's in getting the house ready for it to be listed." "Janet was exceptional! She made us feel comfortable in a stressful situation. We had some out of the ordinary requests due to my Moms memory deficit. And she accommodated our every request." "Thank you Janet, I am so pleased with my new home. I owe it all to you and I will definitely refer all of my friends to you!" "She did an outstanding job and showed much care and concern in our search for a house of our dreams. She was a real joy to work with." - D and K P.
"She is incredibly driven and willing to go the extra mile for her clients. Janet is one of the nicest people I have ever met, but will also go to bat for you when there is an issue. I have utmost respect for Janet as a person and an agent." "Janet knows how to listen to her clients; how to effectively market property; and how to reach a "win-win" for the seller, and buyer!" "I would and have recommended Janet to any of my friends. She helped me through a most difficult time and did everything in her power to sell our condo in a timely manner. I will always appreciate her help." "Janet was awesome! She was an excellent communicator! She was fun, upbeat, knowledgeable and I trusted her. She did a great job for me! I certainly will recommend her!" "Yes, Janet is always friendly and helps understand everything I was signing and help in preparing for the sale of my home." "She is a great person and put up with a lot from us! She was a counselor and had the patience of Job! But most of all, she has become my friend - her challenge was my husband and she was his!" "Janet was amazing. She was by our side every step of the way. She was always available to answer questions and we always felt confident in her ability to sell our home. We highly recommend Janet to all of our friends!" "Janet helped make the process of buying so smooth. Her follow up was excellent. She is friendly but professional. We were very impressed with her preparation with the closing process." "Janet was so helpful. This was our first home purchase and we couldn't have done it without her help. Her service was extraordinary." "Janet was very friendly and extremely professional. She put in a great deal of extra time on weekends and holidays to make sure everything proceeded smoothly." "She is very professional, goes over and beyond to make things happen. Very punctual when meeting and a real joy to work with." "I needed a house in a 2 week period and Janet helped me find the right one and seal the deal. I would highly recommend her!" "Janet Apken was an absolute delight to work with! Janet is friendly, knowledgeable and professional. We would recommend Janet to anyone looking to buy or sell a house." "Janet was great. When I get ready to sell my houses, I will use her again. "I love her! She never gives up on trying to find the right house. "I've already recommended her for her honesty, care of my well being and thoughtfulness. Janet is a great asset to your company and I can't say enough about her professional manner." "Janet was experienced and pleasant to work with. She explained the process and steps clearly, so buying our first home was hassle free. She had great recommendations and was willing to go out of her way for us as we were relocating. "Very professional and pleasant. She kept us cool, calm and collected. Love her!"